Taken for active assignment weekly - body parts. Flashlight with butterpaper for lighting. 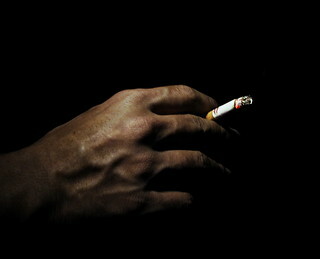 Dim lighting, higher exposure to get the glow from the cigarette.